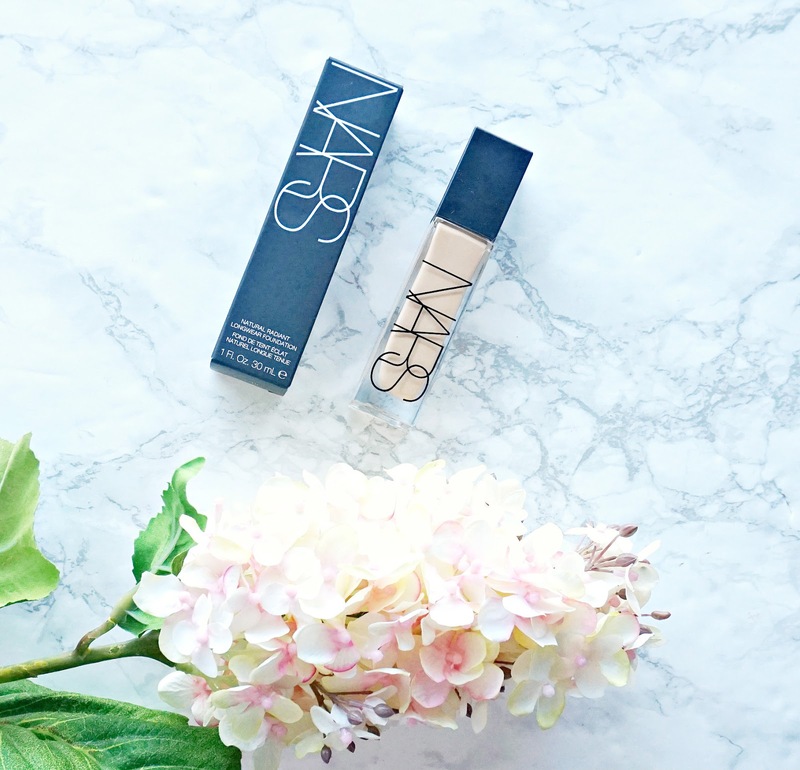 I really didn't need another foundation and I'm supposed to be saving for my trip to New York but when I saw that Nars were releasing Natural Radiant Longwear Foundation, I simply couldn't resist! I really like Sheer Glow, however it is neither sheer nor glowy in my opinion, so I always mixed it with a small amount of Armani Luminous Silk foundation to make it work perfectly for me - therefore, I wondered if this new foundation could replace both of those and if actually it would look natural and radiant? Praise the Lord - Nars have listened to us and this foundation has a pump (Sheer Glow doesn't and if you want one, you need to pay extra and then the lid won't fit back on! ), so we're off to a good start! I like the sleek, slim bottle - it's glass so it's not the most handbag friendly but that's ok because this is a longwear foundation and therefore, won't require touch-ups, right? It's important to shake the bottle well before using. The texture is a light liquid - so light that you really don't feel it on the skin and it works beautifully with both a brush and beauty blender but you have to work fast because it sets quite quickly so rather than dot all over the face before blending, my preference is to put a dot on an area and work that in before moving on to the next. The coverage is a solid medium with one layer and can be built up to full with an extra layer, if required. The finish is natural and radiant, as the name suggests - neither matte, nor glowy - just perfectly in between. It literally glides over pores and doesn't settle into fine lines or smile lines - I have to be honest, it has blown me away! It is as close to flawless as I have seen and I love that it stays in place without breaking down or going patchy. I haven't tested it for the full 16 hour claim - the longest I've worn it for is 10 hours and I had no complaints. Bear in mind that I have dry skin so I'm unsure if it would be the same for oily skin. Overall, I am in love with this foundation - the texture, coverage, finish and staying power are exactly what I look for in a foundation so I am delighted to have it in my collection. This will definitely be my most-reached for foundation for the foreseeable future! Have you tried this foundation yet? I'd love to hear your thoughts! Available in 36 shades from Space NK, Look Fantastic, ASOS, Sephora and Brown Thomas.